Students gather at Iowa State University Research Park during HackISU Spring 2018. Photo courtesy of HackISU. 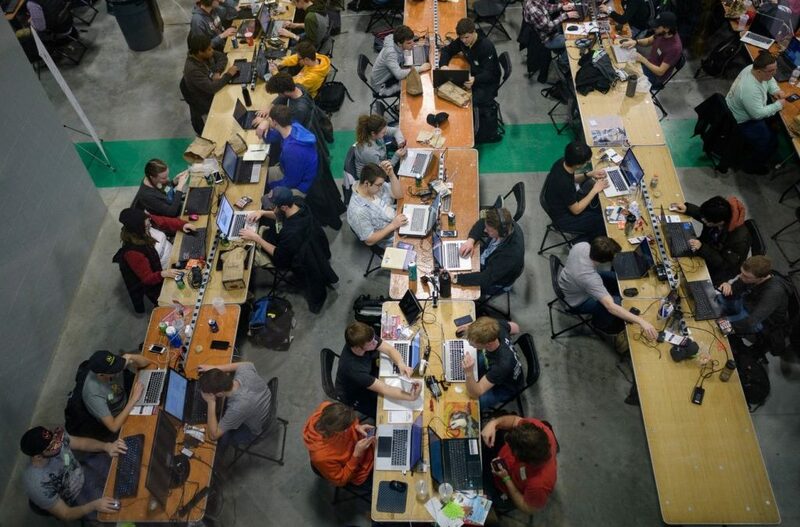 Registration is now open for HackISU, the largest hackathon in the state of Iowa. 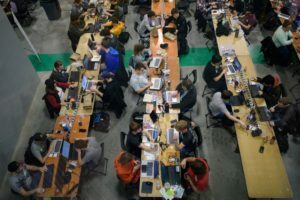 During the event, hundreds of college students from across the U.S. pack into the Iowa State University Research Park to build and code projects. Students will break up into teams of up to four and spend 36 straight hours from Friday night to Sunday morning inventing devices and software, or creating new applications. After 36 hours of developing, a group of judges will walk around and observe the inventions in action and award prizes for best hardware and software, along with awards from sponsors. Winning projects from previous HackISU’s have included a belt for blind people that uses sensors to find obstacles and warns the wearer and a machine-learning program identifying what illness a patient might have based on the specific set of symptoms they display.